From next October, the new Grabber X3 for driving in tough terrain and the new Grabber AT3 for mixed on- and off-road use will be added to the brand’s portfolio. Hanover, Germany / Valencia, Spain, September 2016. Tyre brand General Tire is continuing its product offensive with two new SUV tyres for on- and off-road use. From next October, the new Grabber X3 for driving in tough terrain and the new Grabber AT3 for mixed on- and off-road use will be added to the brand’s portfolio. Both models feature the robust characteristics and high grip that their intended applications demand. For the Grabber X3 the development engineers at General Tire give an on/off-road ratio of 20/80 percent, while for the Grabber AT3 the ratio is 50/50. 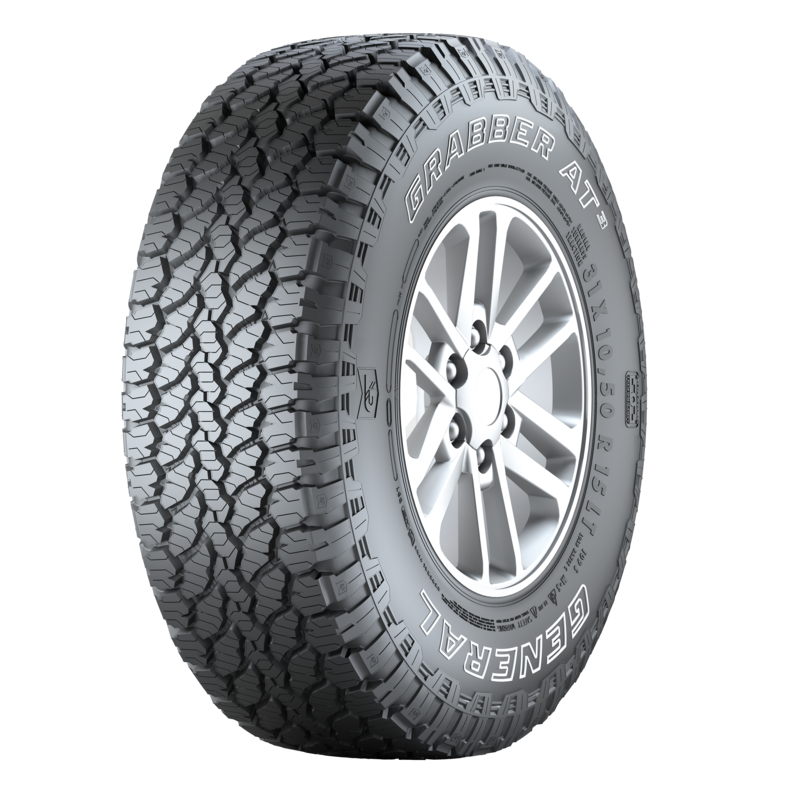 With these two new tyres, General Tire, the tradition-rich brand with its American heritage, offers new solutions in its core all-terrain segment for off-road driving enthusiasts, as well as for professionals in the construction, agricultural and forestry sectors who expect maximum mobility in even the toughest conditions. The Grabber X3 will be available in 19 sizes for rims from 15 to 19 inches, while the new Grabber AT3 will be manufactured in 64 sizes for rims from 15 to 20 inches. Both models will bear the M+S mark and the snowflake symbol, indicating their suitability for all-season use. 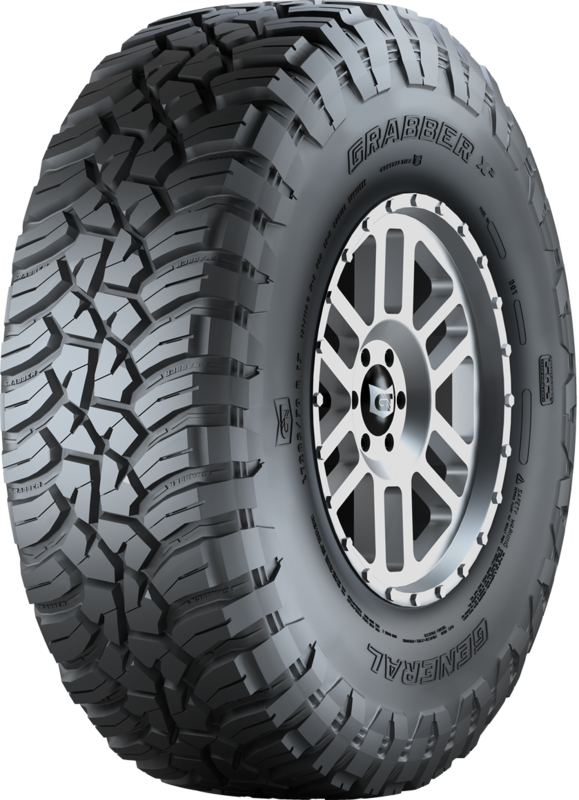 With the new Grabber X3, the U.S. tyre brand has developed an SUV/all-terrain model for both on- and off-road use. The emphasis, though, is clearly on off-road applications with an 80/20 off/on-road weighting. To help them meet a demanding set of specifications, General Tire’s development engineers devised three new technologies: “Extreme Mud (X Mud)” for maximum traction in deep mud, “Extreme Dirt (X Dirt)” for driving on dirt and gravel, and “Extreme Rock (X Rock)” for tackling rocky terrain. All three rely on a tread pattern that features deep grooves, channels for mud evacuation and staggered edges. It’s a design that makes for high levels of grip on sand, mud and gravel. Chamfered block edges, wider grooves in the tread and narrow grooves in the tread base help displace stones faster when traveling over gravel and prevent them notching or lodging in the tread. When driving over rocks, grip edges arranged at different angles in the robust tread deliver maximum grip in every direction. A series of deflection ribs protect the sidewalls against damage from stones or gravel, making for highly robust performance in tough terrain. In terms of construction, the development engineers at General Tire have opted for a three-ply structure that provides additional strength and puncture resistance. Compared to this tyre’s predecessor, its performance on sand and in loose gravel has been improved by five percent in each case, while performance over rocky terrain has been given a ten percent boost. In on-road use the new Grabber X3 is several percentage points better than its predecessor in terms of wet performance and noise, while on snow-covered ground this all-season off-road tyre delivers a ten percent improvement. 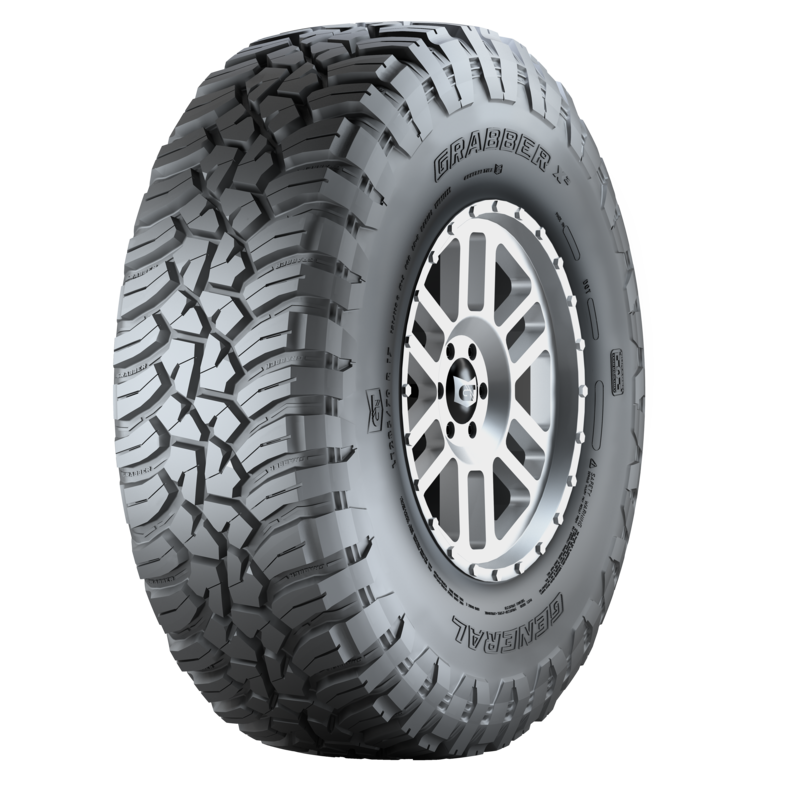 The Grabber X3 will be available from tyre dealers from the coming fall and General Tire will be manufacturing 19 different sizes for 15- to 19-inch rims. All sizes of this off-road specialist are approved for speeds of up to 160 km/h. 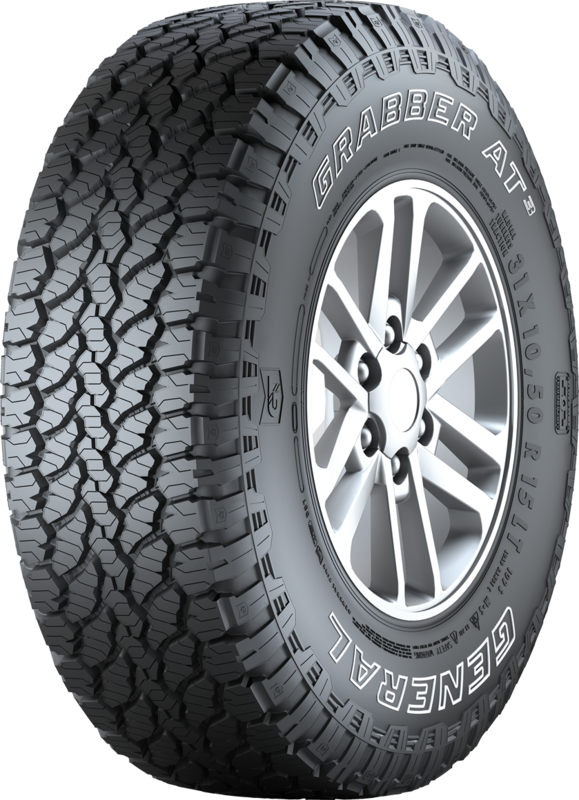 For the new Grabber AT3 the engineers at General Tire have also developed no fewer than three new technologies that endow their latest arrival with high grip both on- and off-road, enhanced acoustic performance, and high mileage. “TracGen” technology, for example, includes an open shoulder design, traction ridges, what the developers call “traction pockets”, and sipes arranged at different angles. This combination of design features boosts the self-cleaning properties of the tread, permits good interlocking with loose surfaces and provides a large number of edges to deliver grip in every direction. The second technology from the developers’ bag of tricks is called “DuraGen” and its job is to boost mileage in rough terrain and under high torsion – i.e. when side loads are applied to part of the tread. This meant developing a new tyre compound that provides excellent chip and cut resistance. In addition, stone bumpers protect the tread base, helping to ensure that stones don’t get stuck in the tread and damage the tyre. And extremely strong steel belts help the tyre to deliver high mileage. The third technology, known as “ComfortBalance” demonstrates the developers’ success in overcoming the conflicting interests of ride comfort on asphalt and good off-road grip. The balanced block geometry of the tread with low stiffness and the specially modified arrangement of the blocks in the center of the tread reduce vibration in the tyre, which makes for good ride comfort on the road, while also providing an even footprint. On wet and dry asphalt, the new Grabber AT3 performs at the same high level as its predecessor, while traction on snow has been substantially improved. In off-road use, grip in mud and on wet grass has been improved, and the tyre presents higher resistance to tread damage than its predecessor. In the coming fall, General Tire will initially be producing 44 metric sizes for rims between 15 and 20 inches, with an additional 20 LT and C sizes to follow in the spring of 2017. These tyres are approved for speeds of up to 240 km/h. As an all-season tyre, the Grabber AT3 bears the M+S mark and the snowflake symbol to document its safe handling characteristics on snow-covered roads.